Rheumatoid arthritis can be a debilitating disease affecting not only the bones and joints but the lungs, spine and many other body systems. 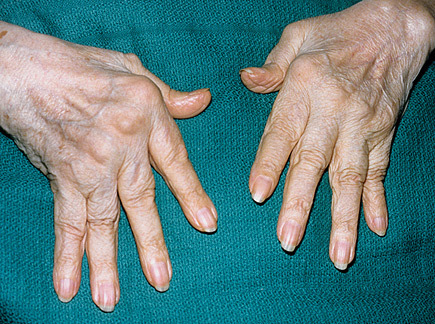 The effects on the hand can be quite profound and deforming. 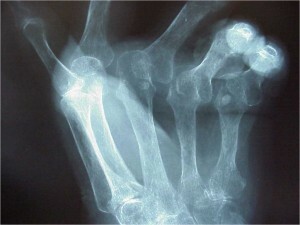 Thanks to modern medical therapy and the development of new drugs, the need for hand surgery in Rheumatoid Arthritis is decreasing. 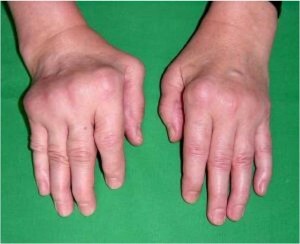 Despite the use of advanced medical therapies some patients still progress to significant deformity and dysfunction of the hand. If the disease is progressing then surgery can play a protective and preventive role in stopping the disease and hand position from getting worse. 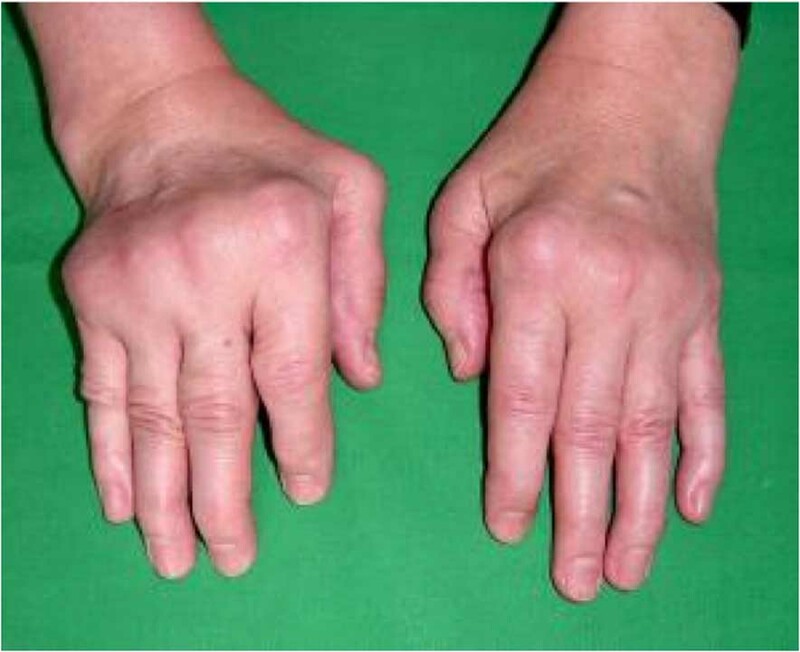 In established hand deformity there are a great number of procedures that can improve both function and appearance of the hand in Rheumatoid Disease. If a persons rheumatoid disease is progressing around the hand and wrist despite maximal medical therapy then removing the excess synovial tissue surrounding the tendons can prevent the weakening and rupture of these tendons and ligaments that occurs in advanced rheumatoid disease. Often the appearance of the “nodules” of disease that develop around the hands, fingers and elbows can be quite disturbing and this can be corrected with surgery. 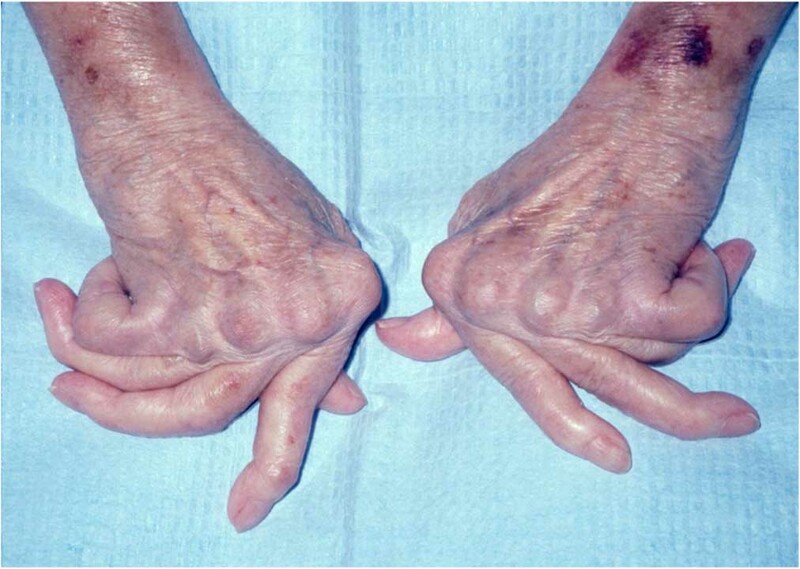 As the disease progresses tendons can break or loosen and change their direction of pull leading to deformity of the hands. The fingers classically move in the direction of the little finger and the ability to straighten the fingers can be lost. If the breaks of the tendons are identified early there is the possibility of repairing the tendons and restoring function. If they are left for a long time before intervention it is not usually possible to rejoin the tendons. In this situation other options can restore the movement of the hand and fingers. This usually involves transferring tendons from an area where there are more than one tendon performing a single function. 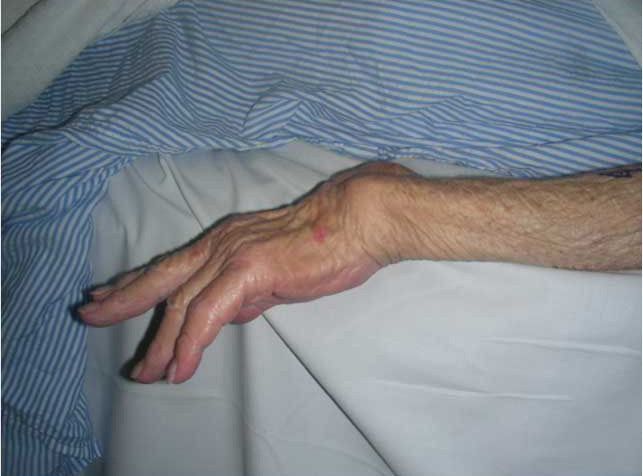 In this way the tendon can be moved to replace the lost function without interfering with the existing hand function. In the advanced stages of rheumatoid hand disease many of the joints are eroded by the arthritis. In this case it may be possible to do hand or finger joint replacements to provide movement back to the damaged areas and to help relieve the pain of advanced arthritis. Certain joints respond very well to joint replacements to restore movement though others do not. For those joints that are not suitable for joint replacement that are in deformed position or that are very painful, it is possible to improve the position of the finger or thumb and relieve the pain by removing the affected joint. This is known as a joint fusion. A joint fusion does not allow movement of the affected joint but is an excellent way of relieving pain and deformity. 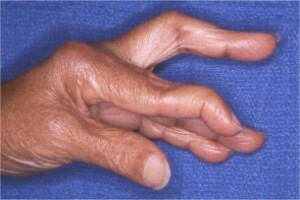 Where there are other unaffected joints such as in the thumb and fingers the remaining joints still provide good mobility and function of the hand.